will be entered in a raffle to win a gift certificate at Franconia Sport Shop. Gale River Trail in Fox Hill Park is beautiful in all seasons. So put on your x-c skis, snowshoes or boots and enjoy winter. Yes this is the road sign for Lover's Lane Rd in Sugar Hill. One of my most favorite bike rides takes me on this road. found the Franconia Ski School at Cannon, and with Paula, would run the ski schools at Mittersill and Mount Sunapee through the 1970s. In 1950, the Baron left the area, and returned to Austria- back to the Schloss Mittersill. In 1961, the Professional Ski Instructors of America was formed, with Paul as one of the 7 original incorporators. 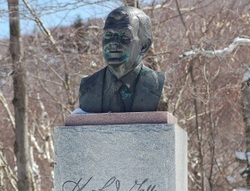 By 1969, Mittersill had 2 T Bars, and a Hall Chairlift, with a vertical drop of over 1000 feet. The winters of 1980 and 1981 were very poor ones for winter sports. The area finally was closed in 1984. He's just a small town boy! This is on Ridge Rd. at the junction with Lafayette Rd. This is the center of the sign at the Sugar Hill Fire Station. 1805- Francis Whitcomb and Luke Brooks, part of a Franconia surveying crew employed by the State of NH to map out the Pemigewassett Turnpike, were the first white settlers to record observing the Old Man of the Mountains, according to official New Hamshire history. The two of them were simultaneously struck by the resemblance to that of Thomas Jefferson. Luke Brooks was laid to rest in the Willow Cemetary located on Rt 116 next to the tennis courts at the Franconia Inn. Several decendants of Luke Brooks still reside in the area, Mary Ellen Gilbert of Franconia and Dayton Goudie of Littleton are two I know of. for noticing the blue tarp on the cupola of the Dow Academy. Bob Whitney answered 9 out of 12 correctly for bragging rights to the Snap Shot Photo Contest for the second time! I'm sure you can find lots of great things at the Franconia Sports Shop, so congrats to you and keep up the good work! 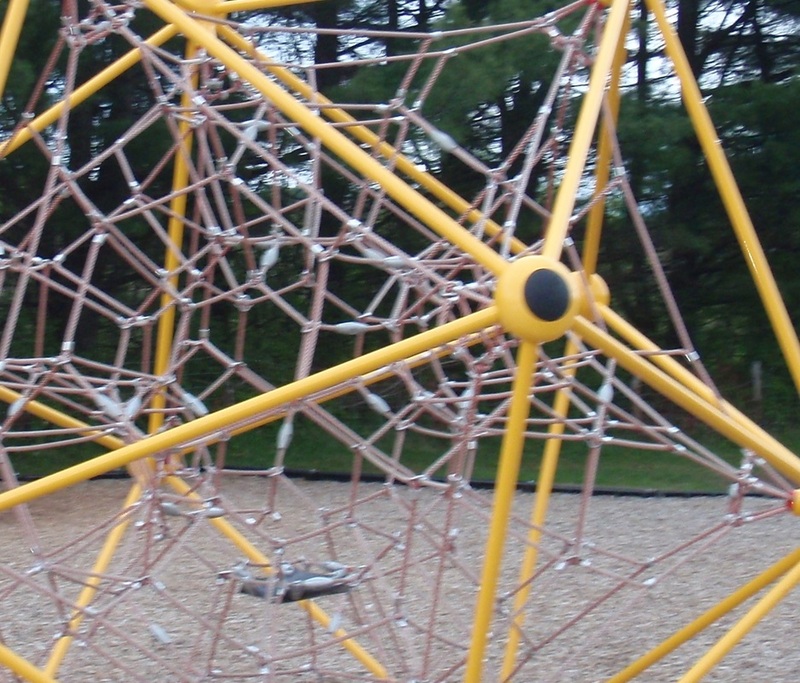 This web collects all kind of kids at the Lafayette Elementary School and was built by a community of volunteers two years ago and paid for by the LPTO and a grant from LCHIP. This is Jules Vernes' Boat House located in Bob & Barbara Every's yard in Easton. Did you know Bob and his son's hiked the entire Applachian Trail? This is the New Dugout on the third base side of the Lafayette Field. for correctly identifing the "Profilers" located in the Profile Plaza. It was 9 years ago today, when we lost our Old Man. for her Bette Davis Eyes. In 1939, Bette Davis wanted an escape from Hollywood. She found her peace in Sugar Hill, as well as another husband, Arthur Farnsworth. As the story goes, Bette Davis was hiking along the Coppermine Trail and got lost (perhaps on purpose) knowing the assistance Inn keeper Arthur Farnsworth would come rescue her. 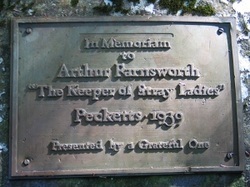 After his death she had this plaque put on a boulder at the side on Coppermine Brook. for correctly identifing the sign at Tamarack Tennis Camp in Easton. 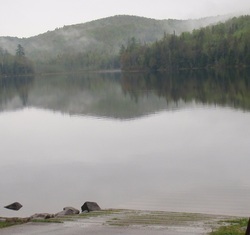 In 1946, Jack and Peg Kenney opened Tamarack Lodge in Franconia, New Hampshire. Over the years the lodge became home to hundreds of people who came north to ski at Cannon Mountain, and enjoy the Kenney's warm hospitality. Sixteen years later in 1962, Jack and Peg started Tamarack Tennis Camp - New England's first tennis camp.